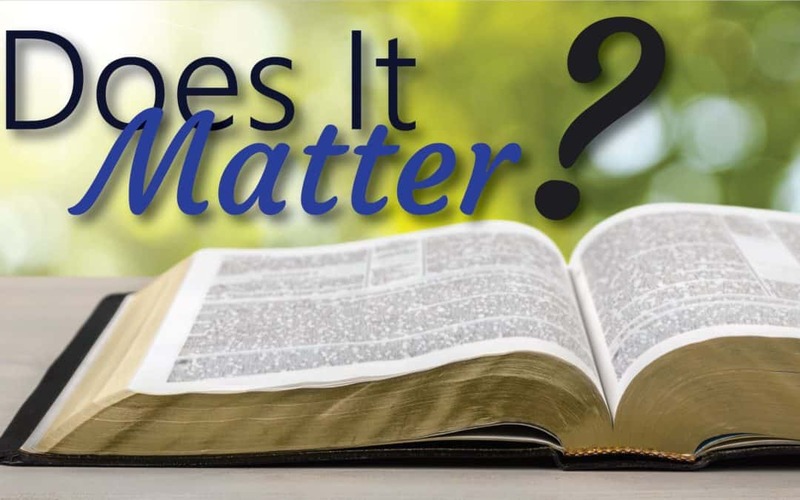 Does It Matter If Kids Know Bible Studies? 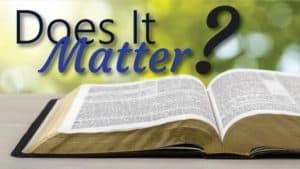 A relationship with Christ or Bible Knowledge? Those are the words I recently heard from a well meaning children’s bible school teacher. Those words kept repeating in my head. Something just did not sound right to me. I supposed this could be true, but I was still bothered. You see, another teacher was struggling with one child coming to church week after week for years, but never recollecting what had been taught. In seeking advice, it was suggested that the facts were not important; it was only their relationship with Christ. What kind of relationship can you really have with someone you don’t know though? Sure. I can say, “I love Jesus” and “God forgives me,” but if I don’t know God, I don’t really know what these things even mean. How can I love Jesus if I don’t know Him? And how can I know Him if I don’t learn about Him? How can I understand forgiveness if I never get a picture of what forgiveness is? Take a moment and think about the people you would say you have a relationship with. Who are they? Let’s take a few that most of us would agree we have a relationship with: Postman, Bank Teller, Pastor, Best Friend, Spouse, Parents and our children. Now let’s look a little deeper into these relationships. I wave to my Postman and occasionally say “hello” when he brings a package I have to sign for. I know my bank teller a little better. She lives on my street so I chat with her a little about the neighborhood and her kids when I stop in. Then there is my Pastor. I would say I am closer to the Pastor than the other two I mentioned. I see him every week and because we serve on a few committee’s together, I know a little more about him; but I don’t ever sit down to a dinner with him or discuss his personal life much. A best friend and a spouse… not these people know everything about me and I know all about them. I know when they are happy, hurting, sad or mad. We have close relationships. My parents and my children don’t know near as much about me, but they know a lot. I see them and talk to them all of the time. When something good happens in my life, I want to share it with them. These are the relationships I have with those around me. Which kind of relationship do you want your kids to have with Christ? Would you be content with them having a relationship similar to the one I have with my Postman or Bank Teller? I don’t see them or talk to them often. I know very little about them if anything at all. It’s a relationship, so surely it is good enough. Yeah, I didn’t think so. We want our children to have a deep, meaningful relationship with God. This means they need to know who God is first to be able to love Him with all of their heart, mind and soul. Knowing God helps us understand how much our God loves us, what He sacrificed for us and how He continues to work in our lives every day. God carefully decided what would go into His word, His message for us. From the Old Testament to the New Testament, it is through His word that we know Him. The more we study His word, the closer we get to God; the more connected with our to Him. Our children do not need to know every bible fact nor do they need to be prepared for a bible fact test. Our kids should be able to tell us a basic overview of what is being taught and how they see God in the story. Was He kind? Was He angry? Was He forgiving? Was He Jealous? Was He Right or Wrong? How did they see God? This helps kids form a picture of who their God really is and this is the God they can have a real meaningful relationship with. So do facts matter over a relationship with Christ? Absolutely not! But can you have a true meaningful relationship without the facts, without knowledge of who someone (in this case, God) is? It’s not likely. So continue to share God’s story with children and work to help them see God.